In the world of movies, finding one meant to inspire you can be as easy as making Instant Rice. The dime-a-dozen routine is played out and only manages to stand out in incredible instances. But that’s fiction. It’s easy to fabricate a feel-good story that feels disingenuous. Reality is a much different animal, and the tale of Rosalee Glass manages to toe the line of reality being stranger than fiction while also being a genuine, uplifting one. 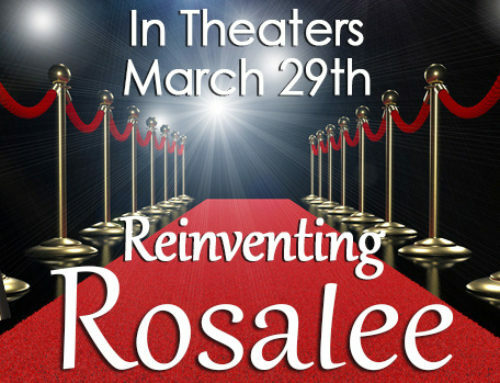 Reinventing Rosalee tells the life story of the titular Rosalee. We are given a deeply personal look at her life and struggles with interviews, family photos, and meticulously used archival footage that gets the viewer in the right mindset. The story begins with Rosalee’s life under Nazi rule in Warsaw before escaping to Russia and spending years in a Soviet prison camp. Throughout the years, struggles with her husband’s illnesses, the loss of her children, and many more life-altering events take their toll. This alone would have already been an interesting story as we hear about all the insane twists and turns of her life and how she managed to get through it, but it doesn’t stop there. 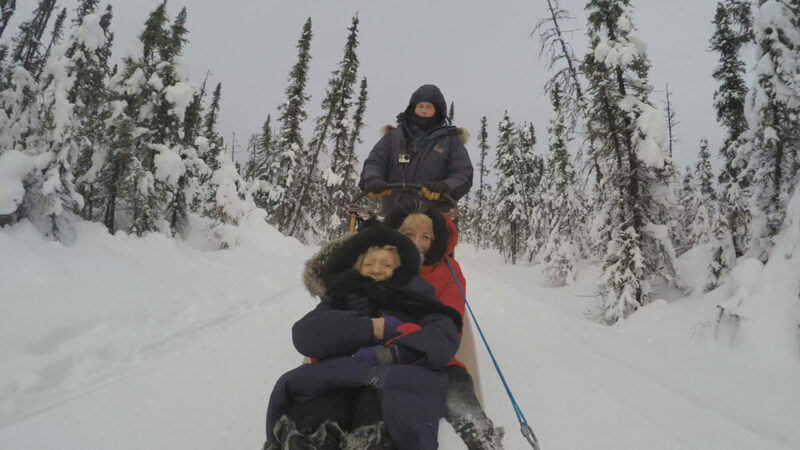 We soon follow Rosalee as her daughter, Lillian, helps her achieve her dreams from traveling the world to mushing sled dogs at 100 years old. Lillian Glass, who also directed, gives a unique look into the storybook life of her mother. She manages to craft an engaging narrative without making things feel too played out. 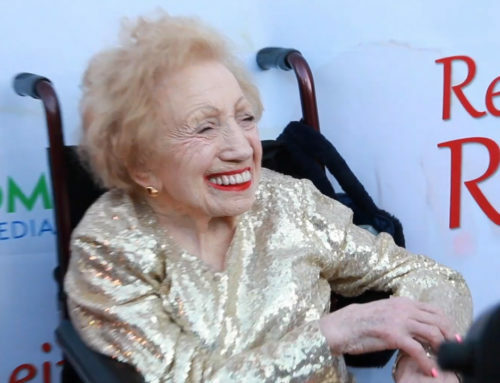 Being the daughter of the film’s star, it would’ve been easy to give a very one-sided look at Rosalee, but Lillian instead gives a true documentarian-style work that gives a fresh eye and look to the story. She also manages to insert just enough personal experience and knowledge to give some additional heart. I’ll admit that I wasn’t expecting some of what I saw in this movie, but mother and daughter really manage to hit the emotional core at points. Sometimes it’s stock footage to help illustrate Rosalee’s story or a few well-placed quotes. There’s even one sequence where Rosalee and Lillian return to Warsaw which was absolutely devastating and hit harder than I thought it would. But it’s through these tough, emotional moments that allow the documentary’s second half to really shine without feeling too saccharine. Throughout the movie, we’ve seen Rosalee fight through adversity and overcome, but it’s in the second half where she changes from broken to a whole new, stronger person. This phoenix from the ashes moment is the catharsis that Rosalee, Lillian, and the audience had been building toward. As such, it makes Rosalee achieving her dreams that much happier and the overall message of striving to live those dreams all the more relatable and acceptable. I’ll be the first to say that I’m not terribly invested in documentaries, and those that I do enjoy tend to be about nature and war. I say that because I really enjoyed Reinventing Rosalee. I’m not sure what I was anticipating going into my viewing, but I do know that it blew any expectations out of the water, and its various film festival wins are a testament to that. Whether documentaries are your cup of tea or not, Reinventing Rosalee is one of those films that leaves you grateful, humbled, and happy you took the time to hear such an incredible story.